By becoming the partner of reigning Formula One champions Red Bull Racing, Singha Beer aims to promote Formula One in Thailand and Singha brand to the world as well as is seeking to increase our presence as a globally recognized premium beer brand. 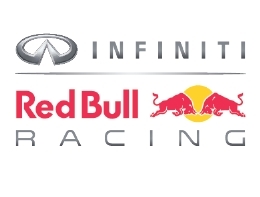 We are confident that this marks the beginning of an exciting, successful and synergized partnership between Singha and Red Bull Racing for years to come. The deal means Singha Beer benefits from increased visibility within the team, most notably on the nose of the new RB7. As well as gaining greater visibility on track. Singha Beer will also continue to support the team’s VIP guest hospitality programs, as it has done since 2008. Singha Beer has been a supporter of the team for a number of seasons and in 2010, we were delighted that it stepped up its commitment by becoming an official Team Partner. Obviously, there are strong Thai links between Red Bull and Singha, which help give us a shared sense of aspiration and ambition. Just like the Rajasi and like Chelsea Football Club; Singha is the Thai name for this mythical ‘king of the enchanted forest’. Courageous and fearless, this legendary ‘braveheart’ is elegant in its posture, poetic in its movements and strong in its character. These qualities thus translate into Singha Beer. Singha Beer has been quenching the thirsts of beer drinkers from all walks of life for almost 80 years. It has earned a reputation as one of the finest quality lagers in the world, receiving numerous international awards with a strong global presence in over 50 countries worldwide. The brand upholds its fundamental values of the highest standards and serves as one of Thailand’s most admired brands and one of the few Thai brands that have truly gone international. With the same shared value as Chelsea Football Club – believing in being the best at everything we do, Singha Beer has become Chelsea’s official Global Partner for four seasons under a platinum partnership agreed with the English Premier League champions. 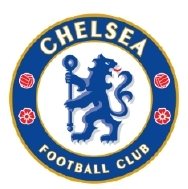 The collaboration between Singha Corporation and Chelsea football club is established under the concept “Spirit of the Champion”. It is a glorious leap forward for Singha Corporation joining hand in hand with Chelsea Football Club, a new generation club that thirsts for victory and accomplishment. Singha is certain that this strategic alliance will propel both organizations the advanced prosperity. 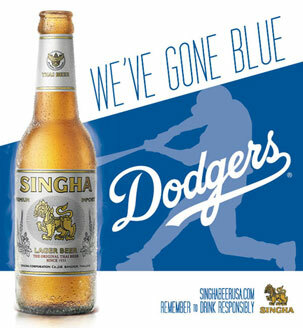 As Official Beer of Chelsea Football Club, Singha has exclusive lager pouring rights at Stamford Bridge venue including stadium kiosks, bars, restaurants and hotels from the start of the 2010/11 season. The Blues supporters can always enjoy Singha as a toast to the matches, to the winning moments and to the lasting friendships. With the aim of global market expansion and the vision gearing towards positioning ourselves in the Top 50 brands of the world in 5 year-time, the collaboration between the two legends, Singha Corporation and Man United football club, as global partner is established under the concept “Go Forward and Win Together”. 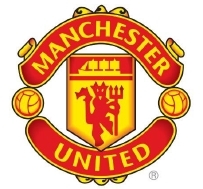 Manchester United like Singha Corporation holds a high degree of greatness and a long-lasting legend. As Singha Beer was introduced internationally in the 1970s and has been synonymous worldwide with Thailand since as well as now available in over 50 countries, it is undeniable that a remarkable level of collaboration between the two will bring about further prosperity from the whole world for Singha Corporation and Manchester United abundantly. Singha beer has become the Official Global Partner of Manchester United after signing a three-year deal with the club. The partnership sees Singha beer sold at Old Trafford during matches, as well as giving Singha Beer advertising opportunities in the stadium and in the club’s media outlets. Matching the Thai brand with a football club that has a worldwide following also broadens our consumer base. Moreover, Thai footballers will experience a great international opportunity which entails training, coaching, exchanging, developing and practicing provided from Manchester United specialists. This leads to the demonstration of the skills and ability of today’s Thai youngsters to be evident before the world’s eyes.